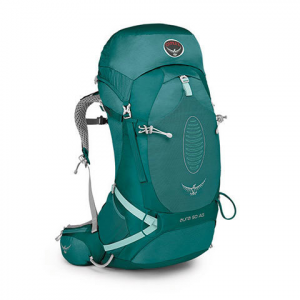 The Osprey Aura AG 50 is a multiple day pack with a women's specific design. Featuring Anti Gravity (AG) technology featuring an anatomical mesh back panel for endless comfort. Offering up to 50 liters of storage space, a multitude of external straps for your tools, an adjustable fit hip belt, compression straps and multiple storage pockets. Let the adventures begin with the help of the Aura AG 50.